This was such a fun read! 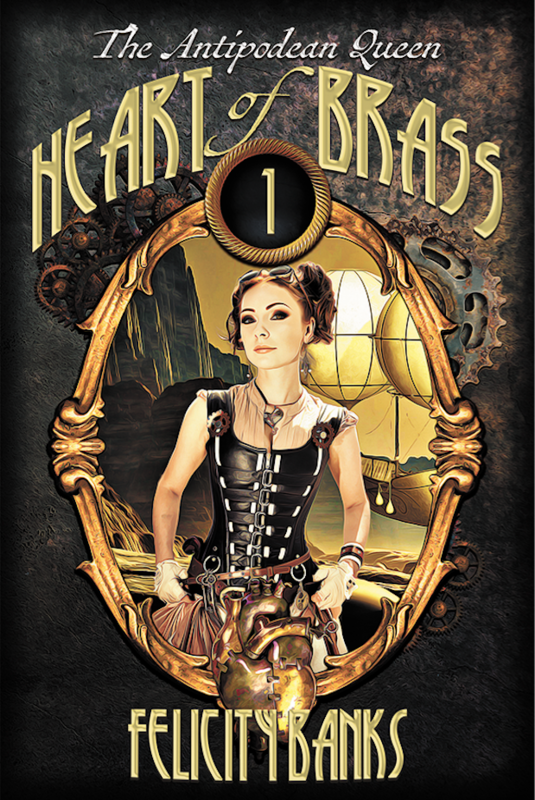 Heart of Brass, by Australian author Felicity Banks, is a compulsively readable steampunk-infused fantasy. Upperclass Emmeline Muchamore is a keen inventor with a talent for metalwork, who possesses a remarkable brass heart. When she is transported to colonial Australia for a minor offence, Emmeline ends up traversing the Victorian countryside with other outlaws, torn between the strictures of her high class background and the freedom she tastes in Australia. I grew attached to Heart of Brass very quickly, partly due to its sheer inventiveness, but also because of Banks’ pitch-perfect prose: from Emmeline’s often-humorous, slightly snobbish English voice, to the parps and bings of her magical metallic inventions. This relatively short read sated my forgotten thirst for a well-told adventure story. Steampunk is a speculative fiction genre inspired by the Victorian era. 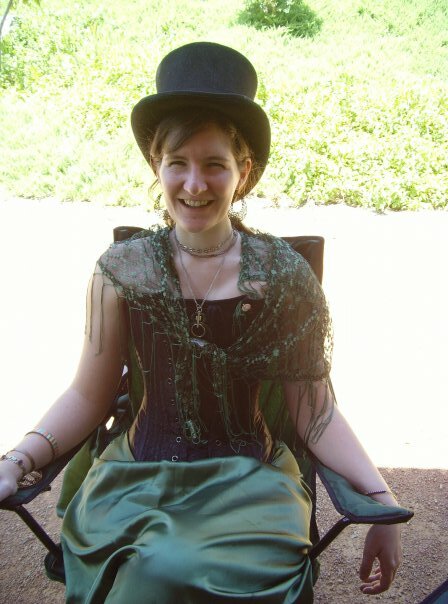 Writers, cosplayers, and makers gleefully wear their corsets on the outside, glue cogs onto their hats, and don brass goggles at all occasions. They celebrate giants of science and engineering like Tesla, Bazalgette, and Lovelace. They write about mad scientists, cross-dressing heiresses, and multi-talented urchins. They fill their minds and stories with clouds of coal-smoke and fog, and the clatter and clank of steam engines, giant clocks, and complicated gadgets. They take the bits of history they like and ignore the rest, sometimes writing dark class-based satire, and other times writing gleeful adventures. They set their stories in London, in America, and in Outer Space. In many ways, Australia in the 1800s was British. Children born in the land Down Under dreamed of going “home” to London. A handshake with a royal visitor caused international chaos. Women crossed deserts in ankle-length skirts. Empire-based racism killed dozens of Aboriginal nations. And men were shocked when soldiers attacked their stockade on the Lord’s Day. So why is so little steampunk set in Australia? We have convicts, gold rushes, political movements, charming outlaws, heartbreakingly nonchalant colonialism, and villainous police. We have mining, social change, and high adventure. One of my challenges in writing steampunk is that I’m really a fantasy author. I knew going in that I’d get bored without magic, and I racked my brain thinking of a magic system that fit into a steampunk world without overwhelming it. It was obvious, really: Metal was magical. In Heart of Brass, several metals are known to activate under major stress and then impart certain abilities to their wearer. Gold, obviously, makes one more attractive. Silver helps one’s ability to heal. Copper increases and fine-tunes sensory detail. Lead heightens emotion. And so on. The main character, Emmeline Muchamore, was nine years old when her father perfected a magical heart device made of brass and silver and magic. She begged him to replace her boring, ordinary heart with his brilliant device — and he did. I’ve also written several interactive stories set in the same steampunk universe. Choices: And Their Souls Were Eaten is a steampunk adventure set in 1830s Europe, when Queen Victoria was a teenage princess and strange monsters stalked the land. It’s a subscription story (in a hub app along with the sci-fi story Choices: And The Sun Went Out) with a free beginning and new content released each week until the end. It’s available through the App Store or Android. Attack of the Clockwork Army is an interactive sequel to the novel Heart of Brass, which is available as an app on several platforms (or you can read it on your computer). Heart of Brass is available in print or digital formats on Amazon or through Odyssey Books Australia.